148) I came here to apologize to this box. 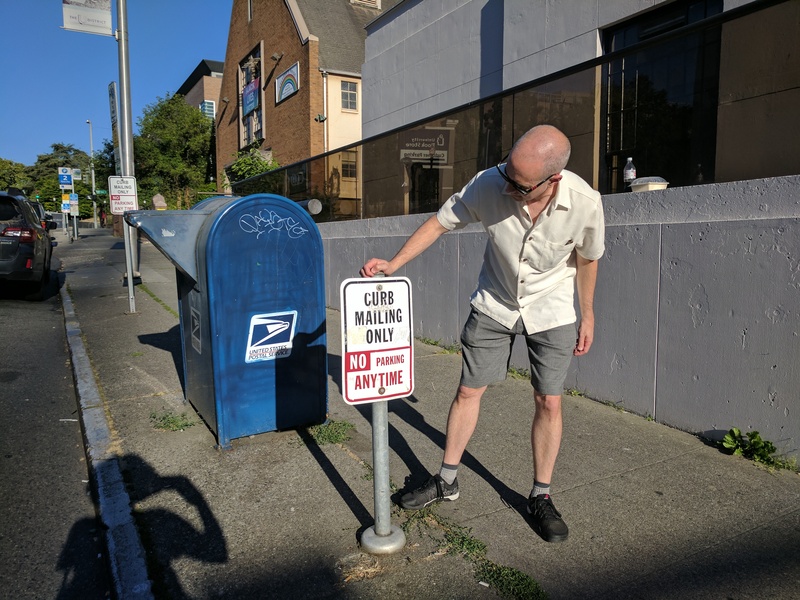 You see, a couple weeks ago I did a world-famous bike series through the lower portion of the U District and I confidently thought I had picked up every last box in the area. A few days later, however, I realized I had missed the grandest box of them all, the one that stands guard outside the fortress-like post office building. So it was with the best intentions that I returned to the area to make my amends… but as I was about to do so, I got distracted by this sign.